Georges Sablier was a french engineer who designed an unbelievable number of gliders and light aircrafts intended for air enthusiasts. He never built them himself but his works were published in books and many magazines. Amongst these publications, the practical building manual for glider and light airplane was much appreciated and helped a lot to understand basic aeronautical woodwork. 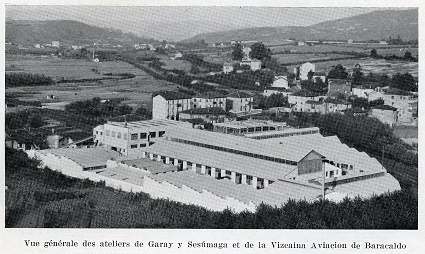 Two years before the start of the civil war in Spain, he was invited by De Garay y Sesumaga to set up an aeronautic department at their factory of Baracaldo-Bilbao which was called Vizcaina Aviacion. The BAPA machine is a Chanute-style biplane hang-glider that is very easy to build at low cost. 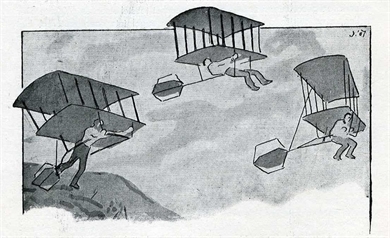 It can take off from steeply sloping hills without any assistance and can be controlled in flights by body motions. Build by one of our member in the late seventies, it is nearing completion.